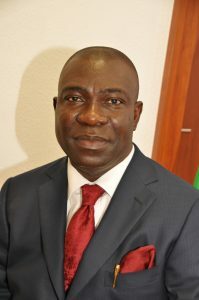 Operatives of the Department of State Services (DSS) and Police, have barricaded the Apo Residence of the Deputy Senate President Ike Ekweremadu. An aide to Ekweremandu, who confirmed this to us, told our correspondent that the senior federal legislator might be arrested and detained. If Ekweremadu is detained, the Senate will not hold its plenary today (Tuesday). In the absence of the two presiding officers, Bukola Saraki and Ekweremadu, the Senate plenary cannot be held.